Stephanie K's Official Music Video for her brand new single "Tonight"! Stephanie K's Official Music Video for "Twisted" feat. T3 of Slum Village on her verified VEVO channel! Stephanie K's Official Music Video for "Ice Cream" on her verified VEVO channel! 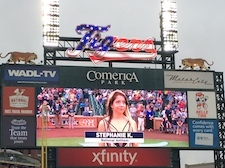 Stephanie K is a singer and songwriter with an incredible talent. The Detroiter can write a song about anything—right on the spot. She told INSIDE EDITION, "I had this idea that everyday I would write, record, and upload a one minute a capella song." Each day she posts one minute-long songs on YouTube. The topic for each song is suggested by fans and some of the topics are quite interesting. Here are just a few of the hundreds of topics she's tackled: Crying babies on a plane, 'Eastwooding,' fireworks, breast feeding at the mall, bikinis, frozen yogurt vs. ice cream, boys with tattoos. We decided to put her talent to what may be her ultimate test. 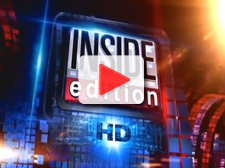 To write a song about INSIDE EDITION. She sang, "You should watch, you should listen to INSIDE EDITION. Televisions longest running [syndicated] news magazine." The event took place on Thursday, November 10th, 2011 at the beautiful Avalon Theater at Hollywood and Vine. Guest recipients included members of Michael Jackson's family and along with James Brown's only son. There were also cast members from the Twilight saga, cast members from the television show "Friends" and "Seinfeld", famous producers and directors from the motion picture industry and many others. 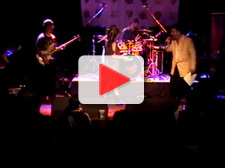 Stephanie K performs her original songs "Disaster", "Trouble", "Story of a Broken Heart" and "Take Me Baby (Arf)" at the Whisky a Go-Go in West Hollywood, CA for the 21st Annual Los Angeles Music Awards Nominations Ceremony/Voting Event. 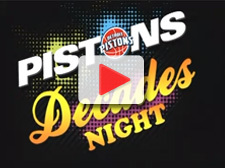 Stephanie K sings the National Anthem for the Detroit Pistons vs Denver Nuggets game on at the Palace of Auburn Hills. More of her national anthem performances are available for viewing on her YouTube page, located in the "Anthems" Playlist.